One of the most persistent and pernicious canards we hear about Third World invaders of White lands is that if given a chance to settle they’ll become ‘just like us’, law-abiding and productive. So why aren’t they like that in their home countries? Ah, that would be because they have to ‘endure’ high levels of crime and corruption there. And who are the instigators of said crime and corruption? Well, unless unknown interlopers are making daring nightly raids across their borders then their own people are to blame. The overwhelming majority of illegal immigrants to the USA are from Latin America and that region is one of the world’s worst in terms of the murder, poverty and corruption upon which lie a flimsy and delusional patina of democracy. 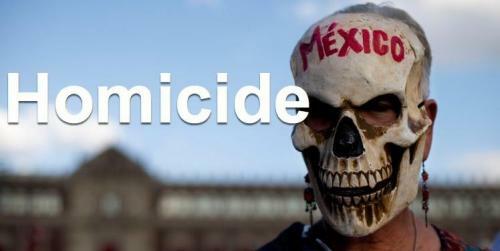 Unbelievably almost 120 politicians were murdered in the run up to Mexico’s most recent election. But this just reflects the rest of society. The homicide rate stands around 22 per 100,000 population — near the levels of Columbia and Guatemala. By way of contrast the USA rate is 5 (the vast majority of murderers are non-White) while Ireland’s is less than 1. The real high achievers are Honduras (44) and El Salvador (60) – both, by the way, rich sources of illegal immigration to the USA. Meanwhile in Brazil, that happy samba-land of multicultural bliss, things have got so bad that, according to Zero Hedge the country’s elites have become “totally freaked out” and are fleeing ‘bloodshed and chaos‘. ‘Amid the economic, political, and social collapse, Brazil has been described by many as being in the midst of a “zombie apocalypse” as years of corruption and violence spectacularly implodes all at once. Horrified by the out of control violence and pessimistic about the nation’s political and economic outlook, thousands of wealthy Brazilians are now fleeing the country’. A well-known actor said he has considered moving his family to Europe for the safety of his three children. “In several years, they’re going to want to go out, to start dating, without worrying about getting shot.” Well there’s a simple answer to that: Ban guns. It makes perfect sense for Third Worlders to emigrate to wealthy, safe and clean White countries. It makes no sense whatsoever for White countries to let them in because, as we see in the barrios and ghettos of America and Europe they’ll turn their new host countries into mirrors of the ones they fled. While complaining bitterly about the racism of their hosts.